Ampacity Electric is an owner-operated electrical contractor business in Nutley, New Jersey that also serves all of Passaic, Bergen, Essex and the counties that surround them. We’re specialists in electrical problem-solving, repairs, ceiling fan and light installations, electric panel upgrades, portable generator connections, service installations, and electric vehicle charger (EVSE) installation. In short, we’re a one-stop shop for all your electrical needs, whether they’re big or small. 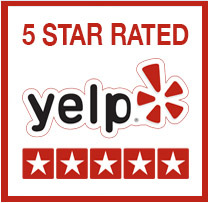 Test our local Nutley technicians and you’ll find we offer solutions to all your woes. 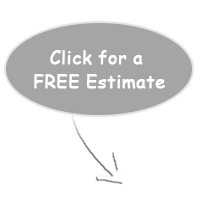 Are you looking for an electrician in Nutley? One phone call to Ampacity Electric and we’ll immediately respond with high caliber solutions that are the best in the electrical industry. We look after all our customers in Nutley by tailoring the perfect solutions to satisfy your requirements, whether it’s panel upgrades, portable generators, troubleshooting or any other requirements. 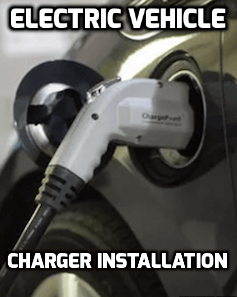 If you are looking for a car charger installation in Nutley, call us now. We treat your family’s safety and comfort as our top priority, as you would expect. We also treat your home and property as we would our own, leaving no mess when we finish the job. We’re so confident in the highest workmanship we provide that we back it by a 100% lifetime warranty on all labor. So let your local Nutley electrician handle all your power issues. Unless you’re trained, educated and licensed, you must NEVER fiddle with electrical wiring. It’s incredibly dangerous and illegal in most of the country. If you need new installations, repairs or wiring fixed, Ampacity Electric is the only number you’ll need. We’ll fix your wiring issues and you can sit back and relax. Selecting the correct wiring or device is critical. Bad wiring can affect your appliances and your entire electricity system. Because we live in a world full to the brim with highly technological devices of all types, undersized wiring can easily cause voltage fluctuations and distortions of power that seriously affect how well your appliances perform. 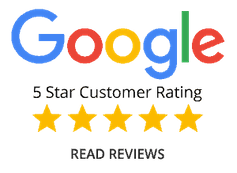 One phone call to Ampacity Electric and you’ll talk to a very experienced technician who can help you fix all problems, regardless of the level of complexity. If you own a home, you would want to be as prepared as possible for all power problems. It’s not a house, it’s your castle where your family should feel safe. Sadly, you can’t prepare for all problems. Disasters can strike at any time and Mother Nature can get cranky and cause chaos. However, you can retain a measure of control in the situation if you have a portable generator connected to your home’s electrical system. You've most likely seen our vans on the roads of Nutley as we help your friends and neighbors and we’re equally keen to help you. Simply call us on 201-406-2855 and ask for more information regarding our portable generator connection and its benefits to your Nutley home. If your breakers keep on tripping, your lights flicker on and off, or fuses blow more often than normal, these are all strong indicators that you need an upgraded panel. Perhaps you need to unplug some appliances to use others. If so, an upgrade is probably necessary. DON’T dismiss these events as being “an inconvenient nuisance.” It’s far more serious and you or someone in your family may get an electric shock or something may catch a fire. “Playing” with electricity is serious and, as professionals, we treat it that way. Call Ampacity Electric on 201-406-2855 if you have these incidents occurring or if you need general electric repairs, help with fixing existing problems, panel upgrades and portable generator installations. It’s better to be safe than sorry! Ampacity rewired most of my condo including my kitchen and both bathrooms. They installed all new lighting and ceiling fans as well as running the wiring for a washer and electric dryer, all without making any holes for us to repair. They also replaced the Federal Pacific panel with a new electrical panel, this is something that the building required us to upgrade. We are very happy with the work. I had this company do various electrical work around my house and I am very happy with the work. I don't know much about electrical work when it comes to the wiring inside of the walls. But I noticed that everywhere they worked they use a dropcloth, they cleaned up any dust or debris with a dustpan and broom, and at the end the owner went around with a vacuum making sure it was spotless. If they pay that much attention to detail just cleaning up tiny bits of dust, I'm sure they're putting the same care into the electrical work itself.